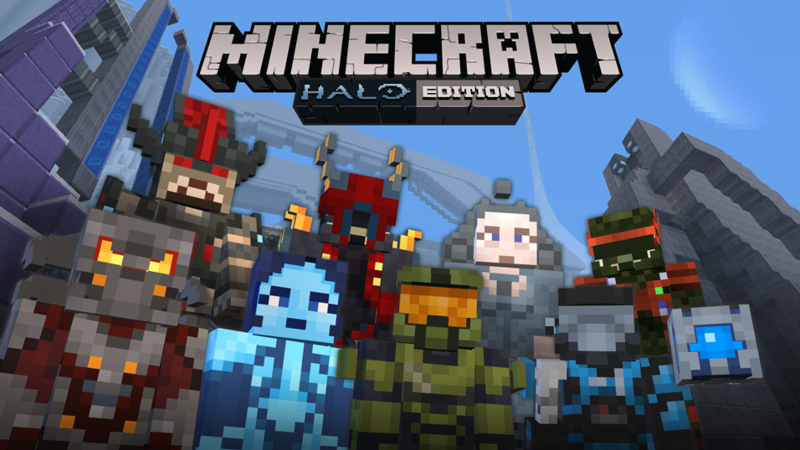 Starting tomorrow Master Chief and Minecraft fans can download the Halo Mash-up pack on Xbox Live. The Mash-up pack comes with a Halo-themed texture set, themed menus and user interface, craftable items and 31 music tracks across the Halo franchise. Also available are 40 character skins depicting beloved Halo characters such as the Master Chief, Cortana, Sergeant Johnson, Arbiter and more. Pre-made worlds such as Silent Cartographer, Sandtrap, Valhalla, Blackout, Guardian, Blood Gulch and plenty of other well-known Halo vehicles and features are included. A video is below. The Halo Mash-up pack will be available tomorrow, May 28 for download on Xbox Live for $3.99/€3.79/£2.69.